Every once in a while you meet someone and there is that instant spark of connection. It feels like you've known each other since you were kids, that you went to the same grade school, the same high school, that you shopped together and talked about boys, and even had your babies at the same time. It happened with me when I first met novelist Suzanne Palmieri at Monte Cristo Books. 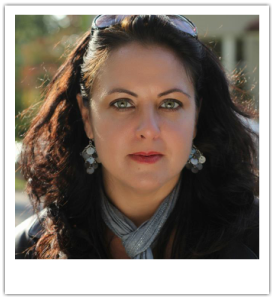 I now call her my sister-by-choice, and I'm thrilled to have her here to talk about her wonderful, magical novel, THE WITCH OF LITTLE ITALY and about her new novel, I'LL BE SEEING YOU. Both are internationally published and both are racking up the raves. A million thank-yous, Suzanne! THE WITCH OF LITTLE ITALY was the third book I wrote. I had two others I'd tried to get published, but are now safely under my bed! The spark for this book was longing. I'd been so lost. I wanted to go home. So I began to remember the best and worst times of my life up until that moment, and I gave my character a chance to do what I wanted to do. Be safe, be loved, go back home. 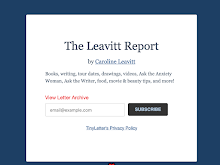 At the same time that THE WITCH was out on submission, my blogging friend, Loretta Nyhan and I wanted to write for OURSELVES. Something to take our mind off of waiting. So, I asked if she'd like to do a fun little exercise. Write letters (emails) back and forth as WWII wives. We began, it grew, and now we have I'LL BE SEEING YOU that hits shelves on May 28th! Joy is always contagious. At least, that's what I believe. Can you talk about how it feels to go from your first book which was self-published, to selling four books at once to all the pre-pub BIG BUZZ about this new book? Actually, I didn't self publish anything. Just essays on my blog. I'm not opposed to self publishing, I simply knew that I couldn't get the exposure I needed. And I didn't have enough money to buy that exposure. So I had to go the traditional route. I remember when my agent called about the book deals. I was working. I can recall this little voice inside my head saying "You did it..." and then a bit of terror. I've often read and re-read Langston Hughes's poem "A dream Deferred" and think someone needs to write one about "A dream Come true". It's a mixture of ache, triumph, pride, and loss. Happiness is complicated. Joy is layered. Mostly I hope that the success lends a bit of enthusiasm to other writers who need to break through. You know? What's your writing life like? Do you outline or do you follow your pen? For now, I write out of pure need. So it doesn't matter where I am or what I'm doing. I have to get the words out. I'm sure that if I'm lucky enough to have a long career, I'll have to outline. Now? Then ending always comes first, so I write that and then work my way back. 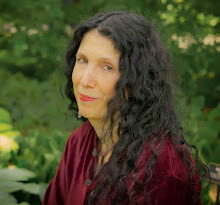 Please will you retelll that lovely story about Alice Hoffman here? The book I'm writing for an option is my newest obsession. Using all the things I've learned about writing. Tight prose, plot focused without leaving good character development behind. I'm trying to create the best gothic ghost story I've ever read. I'm trying to write the book I've always wanted to read. It's so much fun! My characters are yelling at me every single day. "Stop with all this promotion! Write us already!" This new world of publishing, where most of the marketing is done by the writers... it's fun. But it's also time consuming. I'm obsessed with closing down the internet and simply... writing. I'm always happiest then. Maybe something about reading and supporting other authors you admire? My awe at meeting other writers. Going to other events. Reading. READ. Oh, I've met so many writers who don't read. I simply can't understand it. I couldn't live without reading and learning and asking questions. I'd say, make sure to be on your local independent bookstore newsletter. Try to make every single author event. Buy books there. Books you want to read. Meet other readers. So important. Share joy. It always comes back to joy, doesn't' it? I suppose when you live so long in the dark, Joy may shine brighter. It seems that I am in a unique and sort of odd predicament! I was asked to write under two names: My legal name for Saint Martin's Press (Suzanne Palmieri) and my pen name for MIRA BOOKS (Suzanne Hayes). The odd thing is that is wasn't my choice, and both novels fall under the same genre. 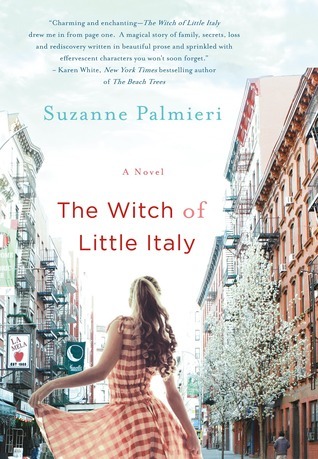 So here I am, in a place where I have readers who loved THE WITCH OF LITTLE ITALY, and want another book. But unless they do research online, don't know that there's another book coming out this very week! Amazon and other online booksellers have no way to merge both author names. So I have to be vocal about it here. On the web, and at my author events. I'm proud of both books, and I feel that readers who enjoy one, will surely enjoy the other. (I'm Glory, btw. And Toby's poems....) Co-Authoring is amazing, though. And I'm lucky enough to get to do this again next year... and maybe even into 2015! Back to back book releases is scary, but validating. And writing alone is one thing, but writing with another person? Instant gratification. I've been writing this way for so long, that I don't know how to NOT do it! 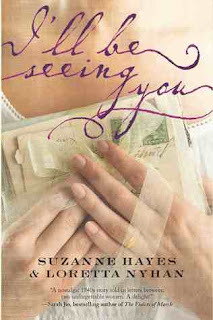 One lovely note about my pen name Suzanne Hayes: I took my grandmother's maiden name on my fathers side. I'm named Suzanne after her. She died when she was 39 or 40, many years before I was born. BUT, when I asked my dad (a deep southern man with manly ways) if it would be okay? He got all teary and told me that his mom... (Suzanne Hayes) had always wanted to be a writer! Really, you can't make this stuff up. That she'd send things to Readers Digest and when she'd get rejection letters she'd run into the house and cry. The boys knew they'd be getting their own supper that night. I truly believe she's with me. I always knew that if I'd known her... she'd be so supportive. 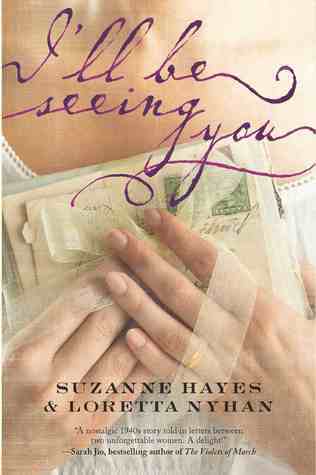 I downloaded the prequel to I'll Be Seeing You a couple of weeks ago when someone reviewed an advance copy of I'll Be Seeing You on their blog. It sounds amazing and I can't wait to read both your books.